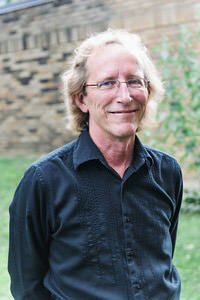 Dr. Toth’s research interests are broadly focused in the field of developmental psychopathology. She is especially interested in examining the effects of maltreatment and parental depression on child development, particularly in the domains of self development and representational capacities. Dr. Toth is also committed to the evaluation of preventive interventions for high risk populations. Dr. Toth’s research interests are guided by a developmental psychopathology perspective that emphasizes the interplay between normal and atypical development and addresses the transactions between ecological contexts and development. As such, she is invested in elucidating processes and mechanisms that contribute to the adaptation of children who are confronted by significant psychosocial adversity. In particular, Dr. Toth’s work addresses the development of children who have experienced maltreatment or who have been reared by a depressed caregiver. Her research has examined representational development in these youngsters, specifically with regard to self-system processes and the emergence of depression. Much of Dr. Toth’s empirical work has examined factors contributing to maladjustment in children who have been physically abused, sexually abused, or neglected. She is particularly interested in examining the relation between representational development of self and caregiver and the emergence of internalizing disorders. In addition to basic research, Dr. Toth is committed to bridging research and clinical practice. Building upon a developmental psychopathology framework, she has received NIMH-funding to initiate and evaluate a number of randomized clinical trials of preventive interventions. Dr. Toth has also received funding from NIMH since 1991 to conduct investigations with maltreated children and offspring of mothers with Major Depressive Disorders. This body of work has significantly advanced the field’s understanding of the adverse consequences of negative caregiving on child development. Dr. Handley’s research is grounded in the developmental psychopathology framework and focuses on the multilevel and transactional risk and protective mechanisms underlying the development of adolescent psychopathology. She has particular interests in the development of adolescent substance use and disorders, depression, and suicidality. Additionally, Dr. Handley is a licensed clinical psychologist in New York State with expertise in evidence-based treatments with children, adolescents, and families. Dr. Handley’s broad area of interest lies in the development of maladaptation among adolescents. Specifically, she is interested in adolescents residing in high-risk families and environments (i.e. parental psychopathology and substance use disorder, maltreatment, poverty) and the ways in which various interpersonal contexts transmit risk for the development of psychopathology. These interests have led to investigations of the ways in which parents with alcohol use disorder socialize their children about drinking and the parenting strategies and behaviors that are most effective for delaying children’s initiation into drinking. More recently, Dr. Handley has begun to explore other multi-level risk factors in the development of adolescent maladjustment ranging from genes to neighborhood disadvantage. Dr. Handley is also interested in the translation of research into clinical practice. To that end, she is involved in research aimed at the dissemination of evidence-based treatment for adolescent depression and suicide prevention. She is currently collecting pilot data investigating the effectiveness of Interpersonal Psychotherapy for Adolescents (IPT-A) for decreasing suicide risk among a sample of treatment-seeking adolescents with depressive symptoms. This project is in collaboration with the Department of Psychiatry at the University of Rochester Medical Center, where Dr. Handley holds a secondary appointment. Finally, Dr. Handley also has interests and expertise in longitudinal data analysis and advanced quantitative methods. She provides ongoing statistical consultation and mentoring to Mt. Hope Family Center faculty, staff and graduate students. Alisa Hathaway, Ed.D., LCSW-R, is the Project Director for a national grant funded through the Substance Abuse and Mental Health Services Administration, entitled Supporting Trauma Recovery Opportunities and Nurturing Growing Emotional Resilience (STRONGER), at Mt. Hope Family Center, in Rochester, NY. This grant positions Mt. Hope Family Center as a member of the prestigious National Child Traumatic Stress Network (NCTSN). 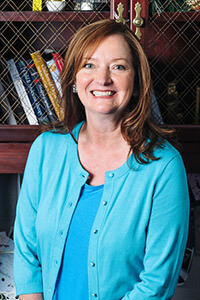 Previously, she served as the Project Coordinator for two other NCTSN Category III grants for a total of seven years. Additionally, she serves as a Senior Supervisor and therapist at the Center. Dr. Hathaway has twenty-two years of experience in providing clinical services to maltreated children and their families and in conducting research with this population. She has functioned as a supervisor for over twelve years. Dr. Hathaway is an approved national Child-Parent Psychotherapy (CPP) trainer, and additionally practices and supervises in the trauma-informed evidence-based interventions of Trauma-Focused Cognitive Behavioral Therapy (TF-CBT), Alternatives for Families – A Cognitive Behavioral Therapy (AF-CBT), and Group Attachment Based Intervention (GABI) in which she received training and ongoing consultation from the model developers. Dr. Hathaway is considered an approved provider of reflective supervision/consultation for supervisors and practitioners serving infants, toddlers, and families, by the Michigan Association for Infant Mental Health, as well. She is also an approved Core Concepts in Childhood Trauma facilitator. Dr. Hathaway has provided training in trauma and the impact on children and families at various local venues. She has presented on clinical practice, supervision, trauma, military, cultural competency, and research at several national conferences and webinars. 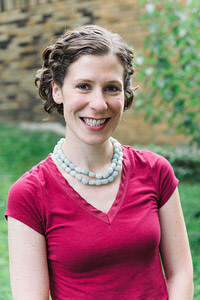 Additionally, she conducts local and national Child-Parent Psychotherapy trainings and Learning Collaboratives. In the academic realm, Dr. Hathaway has published on and taught graduate courses (at the University of Rochester) in the areas of clinical practice, and supervision. Her current clinical and research interests include: attachment, trauma, supervision, culture, military, and evidence-based practice. Dr. Manly is the Clinical Director of Mt. Hope Family Center and a licensed clinical psychologist in New York State. She has been involved with the implementation and evaluation of evidence-based interventions for high-risk children and families since 1991. Dr. Manly has been a Principal Investigator or Co-Principal Investigator on several federally-funded research projects on the linkages among trauma, depression, child maltreatment, poverty, domestic violence, and community violence from infancy through adolescence. She is interested in translating research evidence into effective clinical practice. Dr. Manly’s clinical and research interests are guided by a developmental psychopathology perspective that examines risks and protective factors associated with promoting resilience and healing. She is particularly interested in processes impacting children’s adaptation in the face of trauma and other adversity. Specifically, much of her emphasis has been in the area of child maltreatment and exposure to violence. In conjunction with Dante Cicchetti and Douglas Barnett, Dr. Manly developed a maltreatment classification system that is now being used by research laboratories around the world to operationally define dimensions of child maltreatment. Dr. Manly has a number of publications in the area of child maltreatment and prevention of child abuse and neglect through preventive intervention. In addition, Dr. Manly is currently investigating prevention of depression in adolescent girls, with and without histories of maltreatment. Through a federally-funded preventive intervention with a multiple-levels-of-analysis evaluation, she is examining factors associated with the development of depressive disorder and response to treatment, including genetic, neuroendocrine, cognitive, and interpersonal domains. Another project involves integrating multiple evidence-based models in a preventive intervention for adolescent mothers and their children. This home visitation approach is conducted in partnership with their medical homes. Mt. Hope Family Center is a member of the National Child Traumatic Stress Network, where Dr. Manly works with national trauma experts on provision of evidence-based trauma treatments. She is a member of the national faculty providing training in Child-Parent Psychotherapy (CPP). Dr. Manly is committed to training professionals, and she has supervised graduate students in psychology, counseling, and social work, as well as provided workshops locally, nationally, and internationally. She conducts training on the impact of trauma on children’s development. Broadly, Dr. Petrenko’s research focuses on the effects of prenatal alcohol exposure on child development. She is especially interested in the prevention of secondary conditions (e.g., mental health problems, school disruptions, substance use, delinquency) in individuals with fetal alcohol spectrum disorders (FASD). She is currently evaluating a preventive intervention called Families on Track for young children with FASD and their families. Related research interests also include developmental psychopathology, risk and protective factors, maltreatment, out-of-home care, and neuropsychology. Prenatal alcohol exposure is a major public health problem and affects up to 2 to 5 percent of the population. Individuals with histories of heavy prenatal alcohol exposure commonly have life-long impairments in cognition and behavior and are at high risk for secondary conditions (e.g., mental health problems, trouble with the law, school disruptions, substance use). Dr. Petrenko’s early research largely focused on the neuropsychological functioning of children with FASD. She was particularly interested in the area of executive functioning and conducted several studies on how children with FASD solved problems in laboratory and social situations. In a related line of research, Dr. Petrenko investigated the effects of maltreatment, out-of-home care, family violence, and community violence exposure on children’s functioning. These experiences are very common in children with FASD, but have received limited study in this population. Dr. Petrenko plans to address this gap in the literature in future studies. Based on her early work, Dr. Petrenko identified a strong need for appropriate interventions for children with FASD. 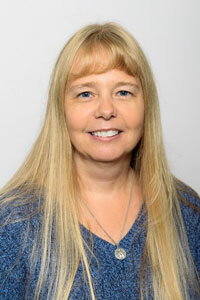 She received a Career Development Award (K01) from the National Institutes on Alcohol Abuse and Alcoholism to develop and evaluate the Families on Track preventive intervention for young children with FASD (ages 4 to 8) and their families. Using a developmental psychopathology framework, Families on Track targets multiple risk and protective factors in children with FASD and their families to deflect children onto more adaptive developmental pathways and reduce the likelihood of later secondary conditions. A randomized controlled trial is underway and Dr. Petrenko plans to follow the children and their families longitudinally to evaluate the effects of the intervention and characterize risk and protective factors for the development of secondary conditions. A central theme in Dr. Rogosch’s research interests involves the effects of early experience on development, psychopathology, and resilience. Within this context, the study of child maltreatment affords a unique opportunity to investigate how substantial dysfunction in parent-child relationships affects diverse developmental systems and contributes to a range of compromised adaptations and psychopathology across the life course. Developmental psychopathology principles provide the theoretical foundation for my research, particularly the concepts of equifinality and multifinality in development. Dr. Rogosch’s research has involved maltreated populations from infancy to adulthood with a strong interest in attachment organization as an undergirding framework for psychosocial development, interpersonal and self-functioning, mental health, and psychopathology. In addition to research on child maltreatment, he has studied other risk groups, including children of alcoholics and young children of mothers with major depressive disorder. The unique and common risk processes associated with these different types of compromised rearing experiences further contributes to an appreciation of development in high risk, chronically stressed maltreated youth. The role of stress and trauma has been another particular interest, with increasing attention to the effects of early experience and chronic stress on biological adaptation. Research on neuroendocrine regulation in maltreated children has been informative regarding the varied ways that stress-sensitive systems may be affected with children exposed to stress and trauma. Current work on gene by environment interactions also provides a foundation for understanding diversity in maltreated individuals’ adaptation to stress and compromised outcomes. 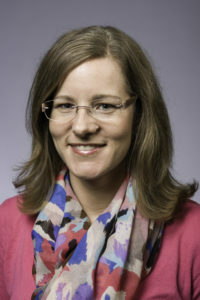 Dr. Rogosch’s research on preventive interventions for maltreated youngsters and offspring of mothers with major depressive disorder provides an important vantage point for conceptualizing how findings from basic research on processes contributing to psychopathology may be translated into prevention and intervention strategies, with particular attention to identifying neurobiological changes in response treatment. Current projects involve multi-level processes contributing to trauma-related psychopathology in maltreated children, longitudinal risk processes associated with substance use and psychopathology in emerging adulthood, and the effects of maltreatment on young children’s development of trust. Robin J. Sturm, Ed.D., has been employed at the Mt. Hope Family Center (MHFC) in various clinical capacities for 22 years working with high risk maltreated children and their families. Dr. Sturm functions as a Senior Supervisor and therapist for the Center and currently practices within the Interpersonal Psychotherapy (IPT) and Child-Parent Psychotherapy (CPP) models of intervention. In addition, Dr. Sturm is the Project Director of the Building Healthy Children Program (BHC) at MHFC. This program provides evidence based interventions for low income teen mothers and their babies. Dr. Sturm assisted in the development and implementation of this program and she provides direct supervision and support to clinical staff on the project. She also oversees and coordinates the evaluation and research component of BHC. 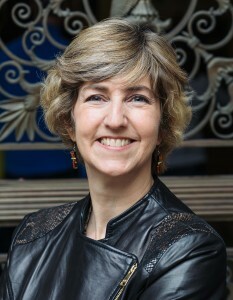 Dr. Sturm has participated in the accreditation process and is an approved national trainer and supervisor in both the IPT and CPP models of intervention, and additionally supervises in the trauma informed evidence-based interventions of Trauma-Focused Cognitive Behavioral Therapy (TF-CBT) and Alternatives for Families – A Cognitive Behavioral Therapy (AF-CBT). Dr. Sturm received training and ongoing consultation from the model developer of AF-CBT. She has provided training in trauma and the impact on children and families at various local venues and she conducts local CPP and IPT trainings on an annual basis. In the academic realm, Dr. Sturm has published on the effectiveness of IPT as a model of intervention and she taught an undergraduate course (at the University of Rochester) in the area of child development. In 2012, Dr. Sturm received a “Career Achievement Award” from the Rochester Business Journal and the United Way of Greater Rochester. She is a member of the American Counseling Association, the National Board of Certified Counselors, and the International Society for Interpersonal Psychotherapy. Dr. Sturm’s major clinical and research interests include: trauma, attachment, depression and evidence-based practices.